It’s the boys turn! 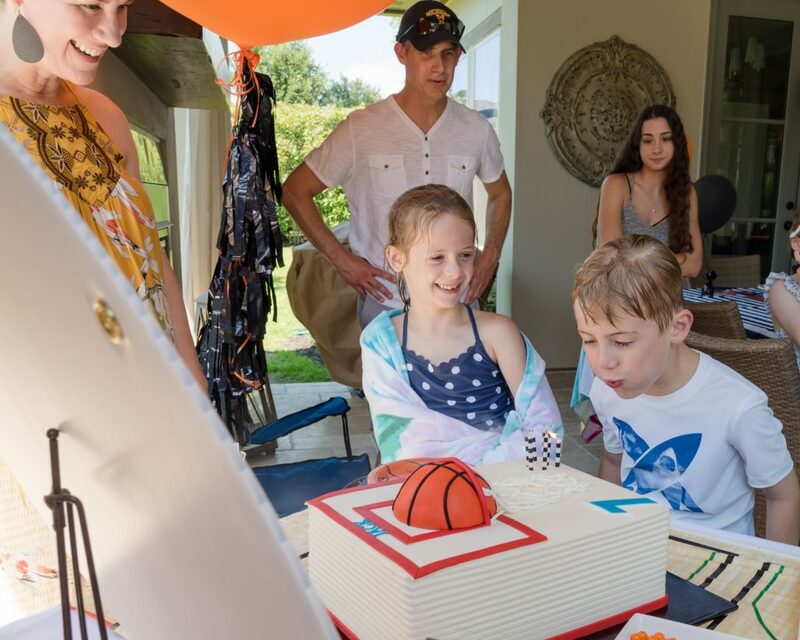 It was so much fun planning, executing, and attending my twins’ birthday parties this year. I love that they wanted their own parties with their own themes, and their own friends! So cute! 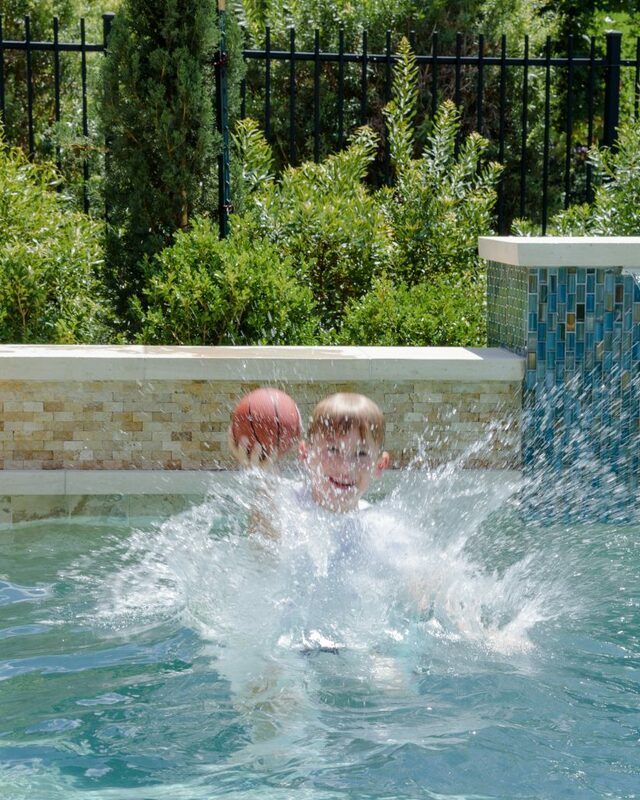 Without further ado, here’s the basketball pool party! 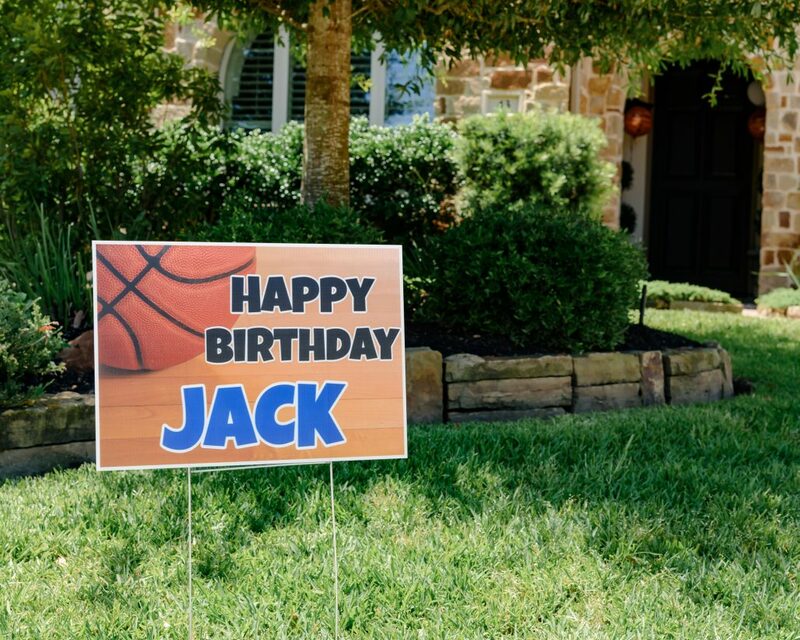 Jack’s party was SO different from his twin sister’s party! He wanted it to be BIG with lots of guests, food, and fun! 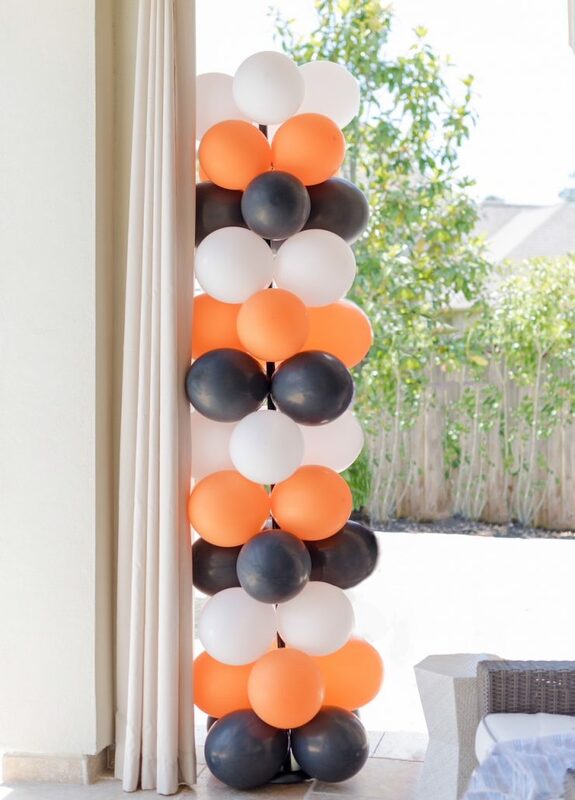 I think he got exactly what he planned for as he said, “This is the best day ever!” I ordered several of these full sized basketballs and had them spread out throughout the the party. Kids were playing basketball the entire time! 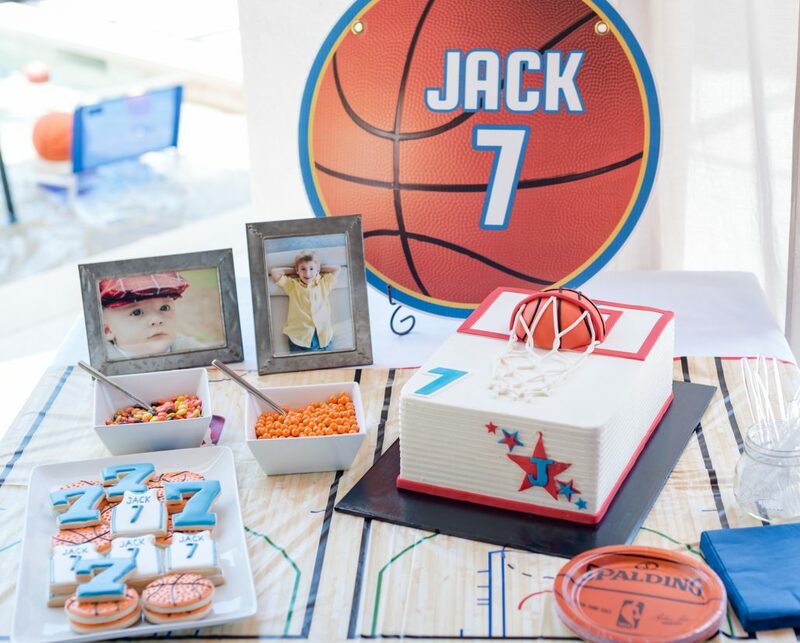 Shindigz decor made the party personalized for Jack. 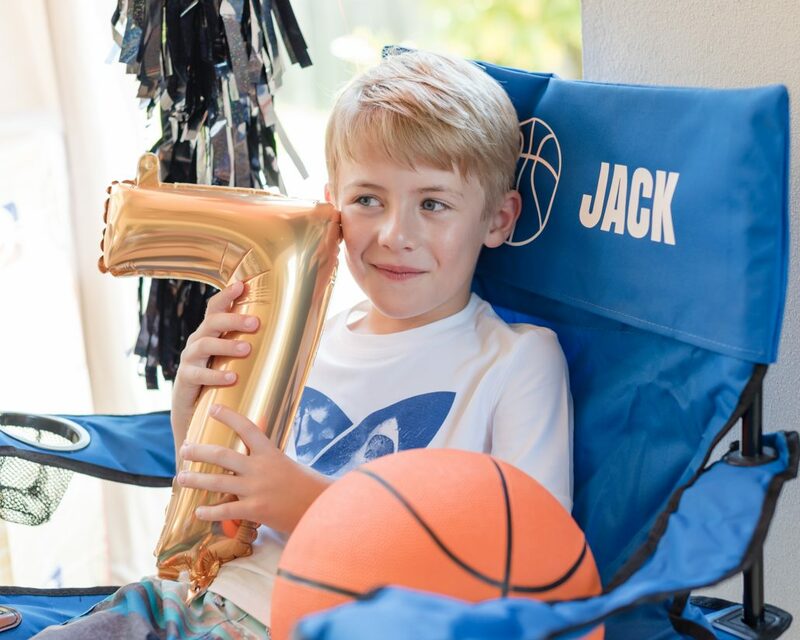 He loved seeing his name on this fun chair and signage throughout the party. 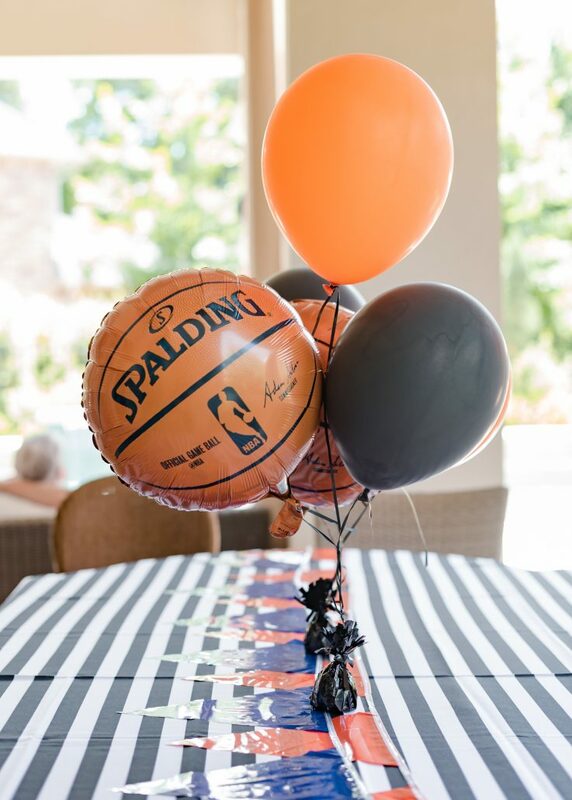 This basketball court tablecloth was perfect for the party. 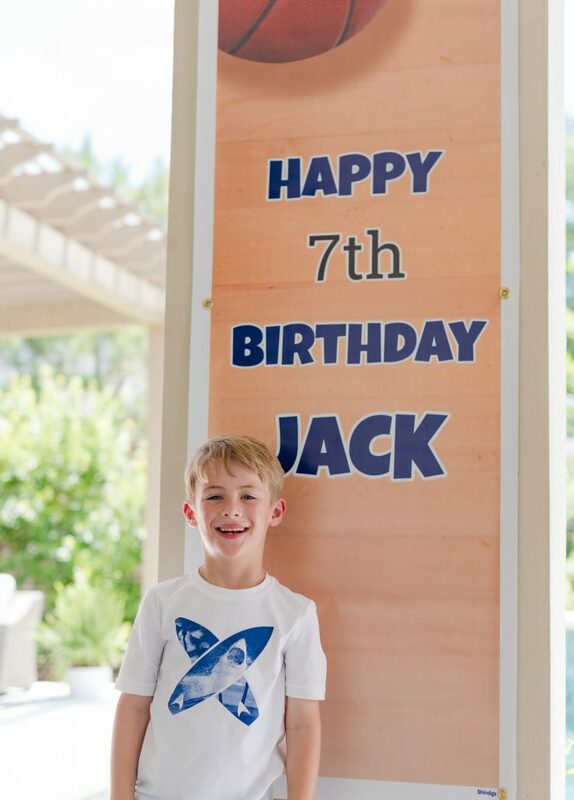 Jack loved this oversized banner! He even put it in his room after the party. 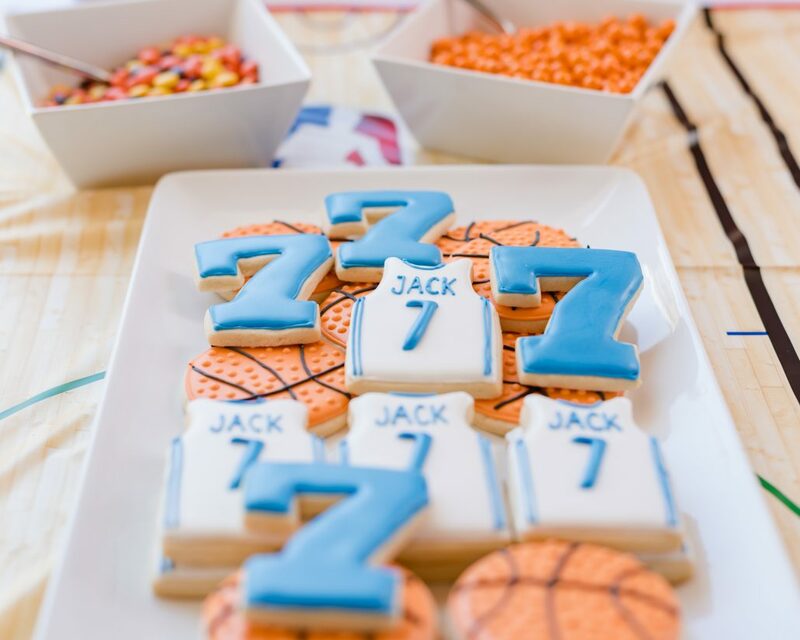 These adorable cookies by The Woodlands Cookie Co. were such a big hit. 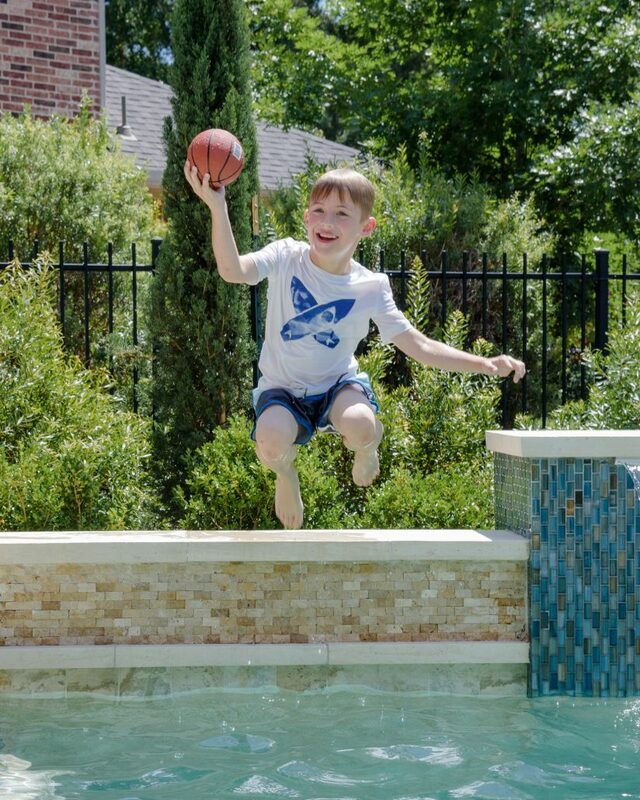 This boy had so much fun! He played and played and played and crashed so hard that night! 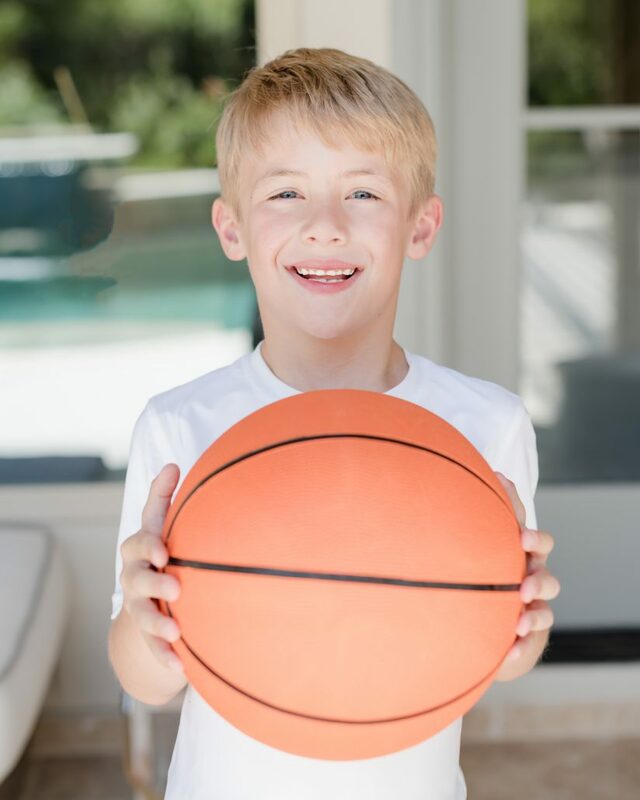 This birthday boy is all about chocolate and Cake Conspiracy made his chocolate basketball cake dreams come true! 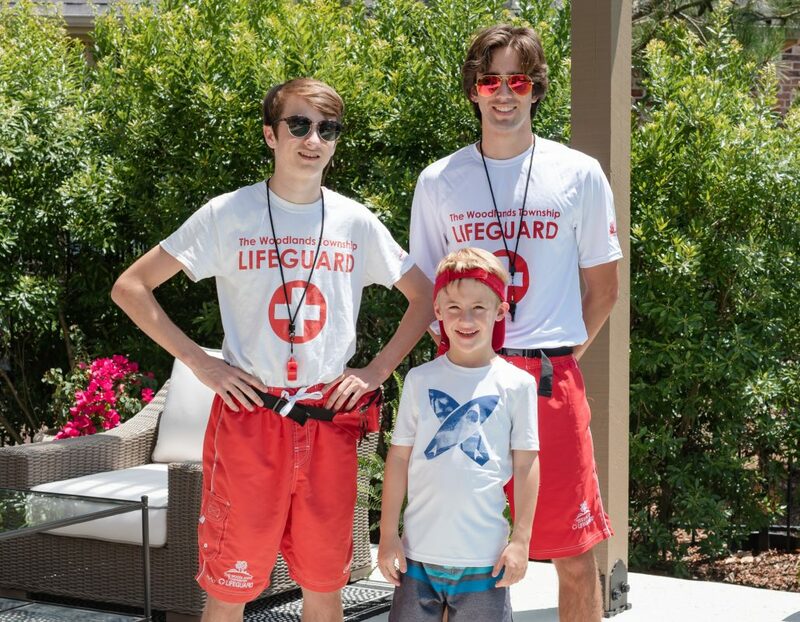 Jack is totally one of the guys! 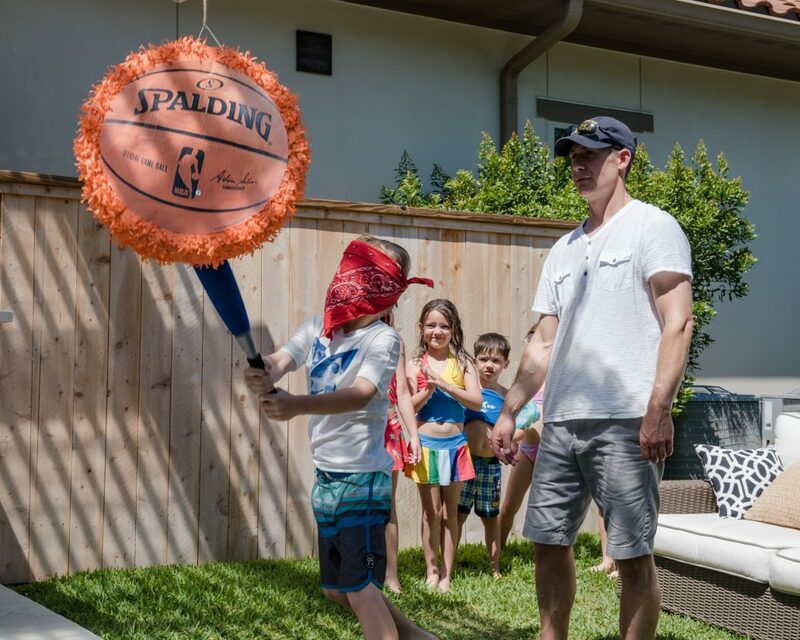 Jack said a piñata was a must for his party. Each birthday that passes is bittersweet for me. I get a little misty eyed when I think about how quickly my kiddos are growing, but what a pleasure it is to see the kind of people they are growing into. 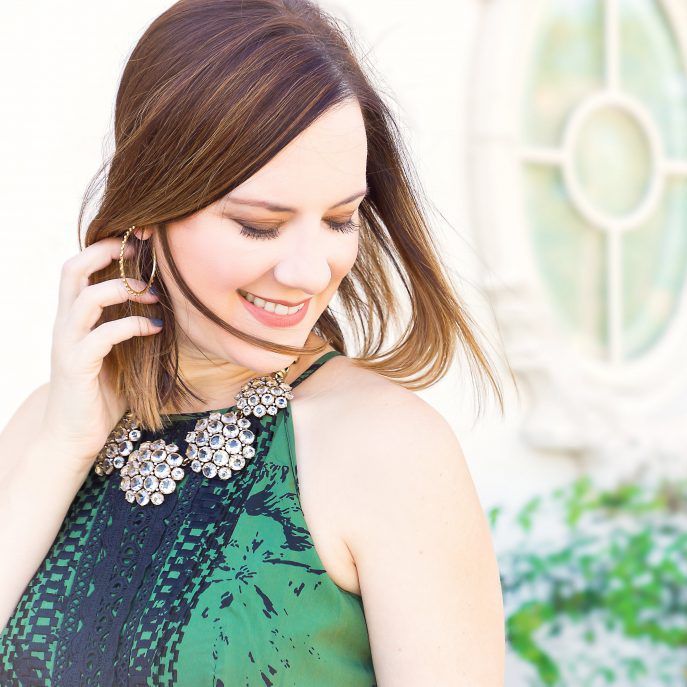 We are so blessed to have our babes and I absolutely love celebrating them! In case you missed Sophie’s party you can see it here.